The BSE Sensex closed 106.41 points, or 0.29%, up at 36,106.50, and the Nifty 50 ended 33.55 points, or 0.31%, higher at 10,821.60. Infosys shares traded 0.03% lower at Rs 675.65 per share. Intraday, the stock rose as much as 0.9% to Rs 682 per share. Oil prices fell by more than 1 percent on Thursday on swelling U.S. supply and amid caution after talks between the United States and China finished without any concrete details on a resolution to their trade disputes. US WTI crude oil futures were at $51.66 per barrel, down 70 cents, or 1.3%, from their last settlement. International Brent crude futures were down 1.2%, or 72 cents, at $60.72 per barrel. Both oil benchmarks rose by around 5 percent on the previous day. Bandhan Bank posted a 10.4% rise in third-quarter profit on Thursday, boosted by a surge in interest income. Net profit was Rs 331 crore for the three months ended Dec. 31, compared to Rs 300 crore a year earlier, said the Kolkata-based bank which listed last year. But its asset quality worsened, with gross bad loans as a percentage of total loans standing at 2.41 percent at the end of December, compared with 1.29 percent in the previous quarter and 1.67 percent a year earlier. Bandhan Bank shares rose as much as 2.8% to Rs 467.15 per share. The BSE Sensex fell 111.86 points, or 0.31%, to 36,101.05, and the Nifty 50 was down 36.05 points, or 0.33%, to 10,819.10. 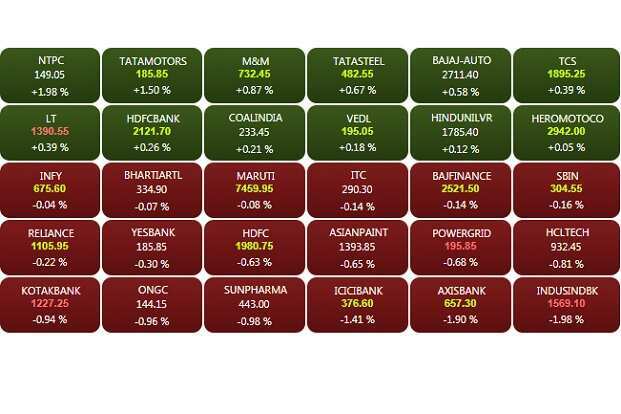 However, the BSE midcap and smallcap indices rose 0.26% and 0.19%, respectively. 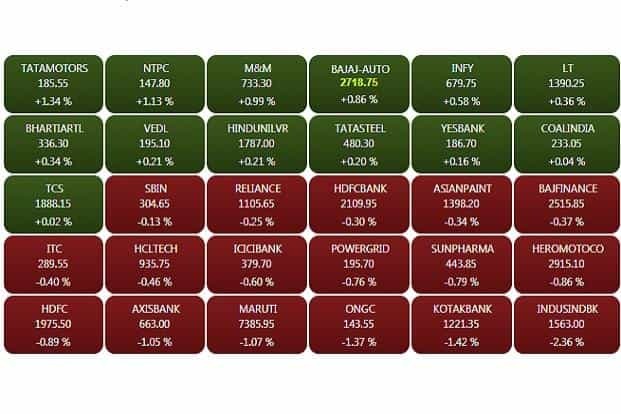 Among the sectoral indices, realty, consumer durables, auto and industrials rose, while oil and gas, bankex, energy and finance declined. Maruti Suzuki India announced a price change for select models owing to increase in commodity prices and foreign exchange rates, among others. The price change varies across models and ranges upto Rs 10,000 (Ex-Showroom - Delhi), the company said today in a regulatory filing. The new prices are effective from 10th January 2019. Shares traded 0.05% up at Rs 7,469.30 per share. The stock hit a high and a low of 7502.05 and 7448.40, respectively. Bandhan Bank shares rose as much as 2.06% to Rs 463.75 per share ahead of December-quarter earnings due later today. According to Bloomberg analyst estiamtes, the lender is expected to post a profit of Rs 527 crore. Vakrangee shares rose 5% to Rs 38 after the company Vakrangee said Ministry of Corporate Affairs found no irregularities after inspecting the company’s books of accounts for a period of three financial years. 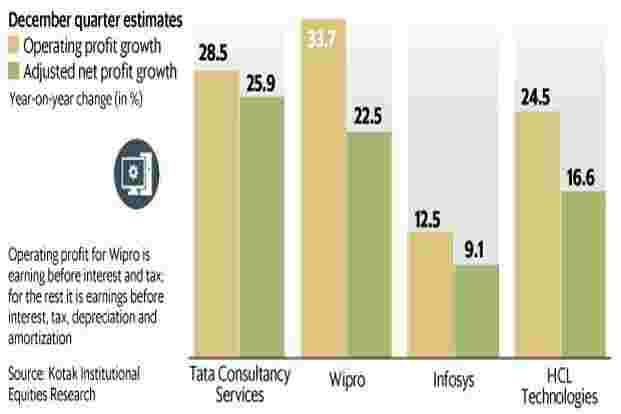 However, the parliamentary findings have made few observations related to unspent CSR funds, franchisee funding and certain financial disclosures. The Indian rupee strengthened marginally against the US dollar, tracking gains in Asian peers after minutes from the US Federal Reserve confirmed patience on rate hikes. At 9.10am, the currency was trading at 70.36 a dollar, up 0.15% from previous close of 70.47. The home currency opened at 70.53 a dollar and touched a high and a low of 70.35 and 70.54, respectively. Yield on the 2028 bond was trading at 7.46% from its Wednesday’s close of 7.47%.